One of the better sci-fi shows of late begins its final season on Syfy tonight as we take our final trip back to Global Dynamics’ favorite research facility. We’ll try not to let knowing it’s all coming to an end soon dampen our enjoyment. Originally conceived as a spin-off of The Office, Parks & Recreation had a rough start but has now surpassed the originator of its mockumentary style. It comes back form a brief midseason break this week, and not a moment too soon. All we’re saying is, if Aziz ansari really did work in a small-town Indiana parks & rec, we’d get in on the ground floor of any new startup he founded. The Discovery / BBC quest to the actual ends of the Earth wraps up this week with a final, and somewhat controversial, episode focusing on climate change. It’s probably impossible to top Planet earth, but what we’ve seen of this nature documentary has put it above the recent Life series on our lists. Of course, another option is to snag the David Attenborough-narrated BBC version this week instead. Your choice. 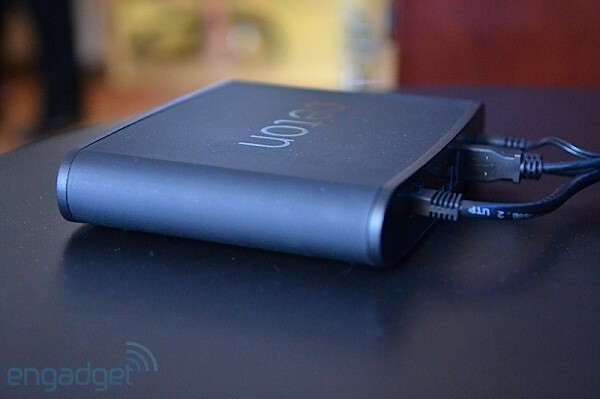 Must See HDTV (April 16th – 22nd) originally appeared on Engadget on Mon, 16 Apr 2012 18:39:00 EDT. Please see our terms for use of feeds. What’s the Echo Extender for Media Center got that no other Extender for Media Center has? Support for DTS surround sound, that’s what. The catch of course is that the Echo is still just on track for “later in 2012,” but the press release after the break is a welcome reminder that the first new Extender for Media Center since 2008 is actually going to happen. Unfortunately, there’s still no new updates on price, availability or really anything other than the fact that you’ll be able to enjoy your favorite content in surround sound that is encoded with DTS — hopefully that’s enough for now. Ceton’s Echo Extender for Media Center will be the first to support DTS surround sound originally appeared on Engadget on Mon, 16 Apr 2012 18:11:00 EDT. Please see our terms for use of feeds. Deep-pocketed RED owners take heed. The company just demoed some pretty nifty module updates, including an OLED EVF, a new 9-inch touchscreen and the crown jewel Meizler Module, which brings to the table such features as wireless 1080p transmission, a wireless timecode transceiver and full wireless lens control — we’re particularly taken with that last feature, which effectively enables remote-controlled follow focus, aperture and zoom control. The new 9-inch will also come in handy with wireless control, making it easier to verify sharpness and exposure. It features the same touch functionality of its smaller sibling, giving you full control of the camera. The display will likely draw some attention when mounted on an EPIC, which is noticeably smaller than the LCD itself, but once you toss on a lens and power pack, the rig looks slightly better proportioned. That’s the good news. The bad news is the price — you’re looking at a cool $13,000 for that wireless module, which is named after its designer, assistant camera Steven Meizler, while the Bomb OLED EVF can be had as an upgrade for $1,200 (if you’re willing to trade in your LCD version), or $3,900 if you plan to buy it outright. You can head over to the Red Store to pick that device up today, though you’ll need to hang tight for the Meizler and 9-inch LCD, both of which are expected to launch later this year. You’ll get an up-close look at all the new gear in the gallery below, and you’ll also find a video overview with RED’s Ted Schilowitz when you venture past the break. 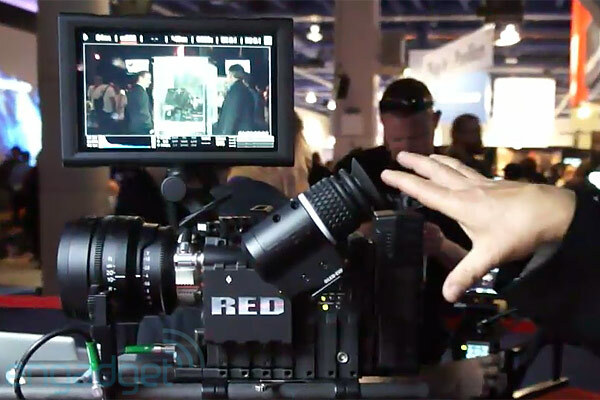 RED 9-inch touchscreen, OLED EVF and Meizler Module eyes-on (video) originally appeared on Engadget on Mon, 16 Apr 2012 17:39:00 EDT. Please see our terms for use of feeds. This entry was posted on April 16, 2012, 6:55 pm and is filed under Mobility. You can follow any responses to this entry through RSS 2.0. Both comments and pings are currently closed.